Excerpt from Adrian Willaert. Musica nova. Our master's degree programs in musicology take an integrated approach to understanding the nature, structural basis and historical development of music. Musicology faculty and students actively participate in the American Musicological Society of New England. The one-year MA program is for you if you want to engage in beginning graduate study without making a multi-year commitment, or if you're contemplating a career in performance or in a music-related field (such as library science, arts administration, program annotation) and wish to develop some advanced research and writing skills. This program program requires proficiency in German or French. If you are successful in the one-year MA program, you may choose to continue for a second year to complete the MFA. The two-year MFA program involves further in-depth study. You'll be required to demonstrate a high degree of competence in research writing by writing a master's thesis or submitting two expanded seminar papers. This program requires proficiency in both German and French. As you design your curriculum, you'll work closely with the musicology graduate program chair in choosing courses appropriate to your specific research interest. 30 pianos (as well as the one used by Leonard Bernstein as a child!). 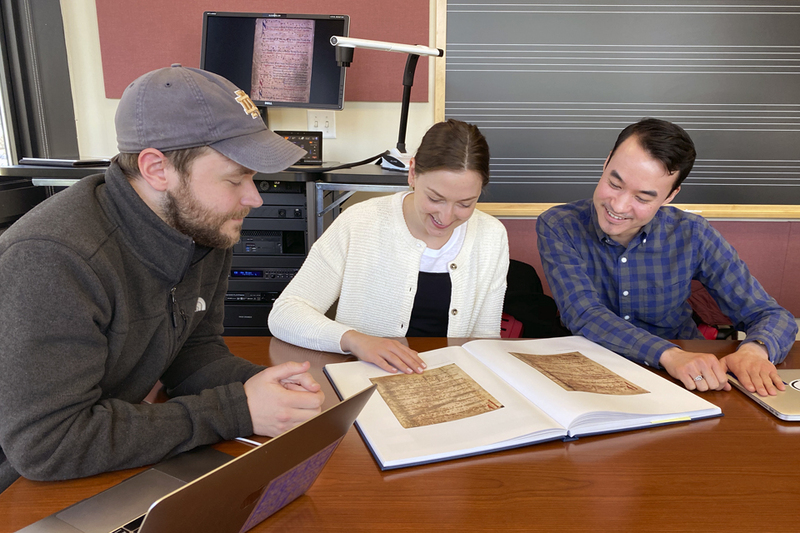 The Brandeis Journal of Musicology: The first of its kind in the Department of Music, this new peer-reviewed, student-run, online publication showcases the work of graduate students and scholars of music early in their careers. Many of our graduates go on to pursue a doctoral degree in musicology or a related field and are now on the faculty of such prestigious institutions as the Boston Conservatory at Berklee, New England Conservatory of Music, Hartt School of Music and University of Electro-Communications and Musashino Academia Musicae, Tokyo. Stephen Radcliffe '14 is director of music for the Seattle Youth Symphony Orchestra. Tina Tallon MFA'13 is pursuing a PhD in composition at the University of California, San Diego. Complete seven-and-a-half courses in composition, tonal writing and tonal and nontonal analysis, as well as the course Form and Analysis. Fulfill the language requirement in German or French. Write a seminar paper during the first semester and expand it with faculty supervision during the second semester. Complete twelve courses in musicology (including courses on different historical periods, music analysis, and the history of theory) as well as the course Form and Analysis. Fulfill the language requirement in German and French, by translating an excerpt from a theoretical text. Write a thesis that is an analytical or historical study or revised copies of two seminar papers that have demonstrated a high degree of competence in research writing. A partial need-based tuition scholarship is available from the Graduate School of Arts and Sciences. Information about this and other sources of funding may be found on the GSAS website. The Department of Music may also recommend additional merit scholarship, determined on a case-by-case basis. Contact Professor Eric Chafe for more information about the program. The first of its kind in the Department of Music, this new peer-reviewed, student-run, online publication showcases the work of graduate students and scholars of music early in their careers.